Many begin welding training because they seek a stable and rewarding career and are drawn to the hands-on nature of the work. Some talented welders also get a chance to express their creativity through sculptural welding. Applying welding expertise in artful contexts may encourage some welders to increase their appreciation of the craft and to perfect their skills through practice. Notable sculptural welding artworks include “Chicago Picasso,” which is fifty feet high and on display in Chicago’s Civic Center Plaza. 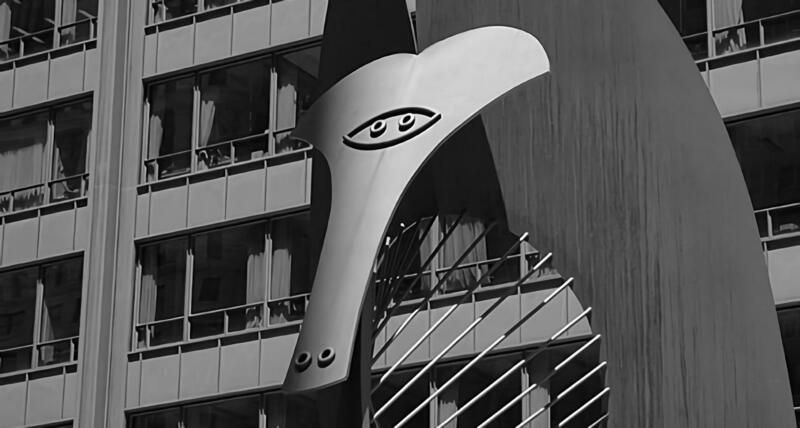 This sculpture was created by Pablo Picasso in 1967 as a gift to the city of Chicago. Another example is the Walt Disney Concert Hall in Los Angeles, designed by architect Frank Gehry; the unique shape of this building comes from over twelve thousand different pieces of custom-fabricated stainless steel, none of which is the same shape, size, or weight. While Picasso and Gehry are household names, plenty of other accomplished welding artists have produced amazing artworks. Their creativity and talent have made the world a more magnificent place and challenged the people’s traditional perception of art. Below is a list of historical and contemporary artists who have advanced sculptural welding. Eila Hiltunen– Hiltunen was the first artist to create an abstract welded sculpture for public display in Finland. For her second public art piece, she won a competition to create a public memorial for the beloved Finnish composer Jena Sibelius. You can see a great photo of her weldingthe “Sibelius Monument” during its creation. Vera Mukhina– Mukhina’s remarkable 80-foot-tall welded sculpture of the “Worker and Kolkhoz Woman,” created in 1937 for the Paris World’s Fair, is still on display in Moscow. She is known as the “Queen” of Russian sculpture. Alexander Calder– While he started producing sculptures in the 1920s, Calder began cutting and painting his signature sheet metal shapes after World War II when metal was readily available again. Calder is most famous for his creation of “mobiles,” although he also completed many large-scale welded artworks for public display. David Smith– David Smith has a unique background because he first welded parts for trains and tanks for the American war effort during World War II, only to pursue his artistic inclinations thereafter. He is considered the very first American artist to work in sculptural welding. One of his famous works is the Cubi series. Beverly Pepper– Pepper creates site-specific designs that mix natural landscaping and industrial materials. Some of her most interesting works are larger pieces made from welded steel that is painted in bright colors. Richard Hunt– Hunt is a prolific artist with over 150 pieces of his work on public display—more than any other artist in the U.S. Many of them are found in the Chicagoland area, Hunt’s hometown. Heavily influenced by progressive twentieth-century artists, Hunt has stated that welding sculptures is the reason for his happy life. David Hayes– David Hayes trained under David Smith at Indiana University. His large public sculptures and his smaller pieces are in over 150 museums including the Museum of Modern Art and the Guggenheim Museum in New York City. There are plenty more accomplished sculptural welding artists across the country. Those interested in taking welding courses may consider that this craft not only allows for a promising career, but also for the opportunity to express creativity and imagination.